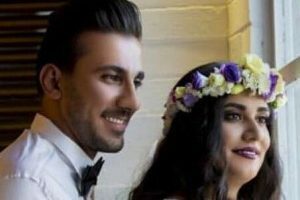 According to “BahaiNews”, Muin Mohammadi, a Baha’i citizen of Mashhad, was barred from continuing his education, despite completing his graduate studies and successfully gaining admission to a post graduate program. 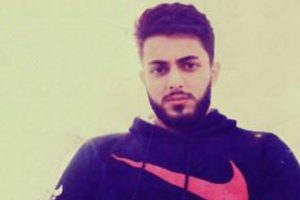 According to this news agency, after completing high school as a Science major, this Baha’i citizen successfully passed his University Entrance Exam and was admitted to Imam Reza University in Medical Engineering in 2011. He completed all his 144 study units in nine semesters. In the month of December 2010, he submitted his thesis and applied for his temporary discharge certificate in order to finally receive his graduation certificate; however, university authorities did not grant him the certificate. After frequent contact with the University’s Secretariat, Muin realised that no letter had been sent and that this had been a fabrication. In the meanwhile, Mr. Yaghoobi, who was the responsible officer, suggested that he should confess that there was a mistake in the file stating not that he was a Baha’i, but that he was Muslim. If he could do that, everything would be fine. This suggestion met his total refusal. This reliable source also said to the Baha’i News reporter that “in following his case, after some time Muin was told that now, as a matter of fact, a letter had been sent to the Ministry of Sciences, but they refused to offer the reference number of the letter. After waiting three to four months for a response to his inquiry, Muin was told that a letter had been sent to the Office of Examination. Again, after several months no reply was received. Muin decided to go to Tehran to follow his case personally. In Tehran, Muin contacted Dr. Naimai of the Secretariat of the Examination Office by means of a letter requesting that he speed up the action on his case. After returning to Mashhad, Muin repeatedly contacted Mr. Sadeghi, the Head of the Office of Protection of the University, as well as Mr. Rashidi of the same office, requesting an answer. 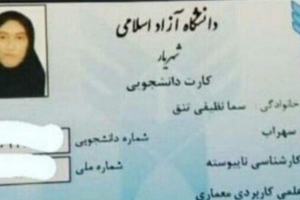 The Head of the Protection Office, as a way of finalizing the case of Muin Mohammadi, or perhaps to get rid of him, wanted him to contact Mr. Bashiri in the Examinations Office in Teheran. Upon his contact with that officer in Tehran, he realised that not only Mr. Bashiri but all staff in the office were unaware of his case. Helplessly, Muin Mohammadi asked Dr. Yaghmayi to follow up his case. In past years the excuse of “incomplete documentation” for Baha’is was equivalent to deprivation of continuing education; it appears that the same trend is continuing. Denial of education for Baha’is as well as prevention from securing any employment in a government establishment is based on approval of the Supreme Council of the Cultural Revolution from March 1991. Based on the third Article of that document, not only should universities stop Baha’is from continuing their education, but at any time if the identity of a Baha’i becomes known during registration or even after that he must be barred from continuing his education. Denying education to Baha’is since the beginning of the Islamic Revolution and the start of the Cultural Revolutions has been systematically implemented. Are Human Rights in Iran Getting Worse for Baha’is?